Kono Subarashii Sekai ni Bakuen o! 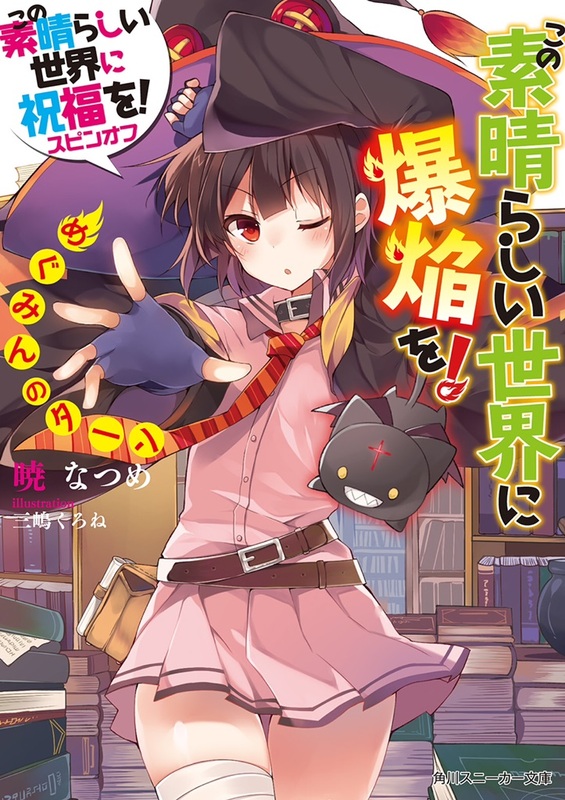 The prequel to the main story of KonoSuba that follows the events surrounding Megumin before she meets Kazuma and Aqua. Gifting this Wonderful World with Explosions! Kono Subarashii Sekai ni Shukufuku wo! Spin-off: Kono Subarashii Sekai ni Bakuen wo!